It’s January. Without bumming you out further, we all know what this means: cold, dark, boring, and nothing fun in sight. The best way to combat the January blues? Planning your next holiday, of course! We love to travel the same we do everything else: elastically! And that means getting off the beaten path, finding hidden gems and… of course, eating well. So if you’re starting your 2019 holiday planning this Blue Monday week, here are some can’t-miss spots to make sure you hit on your next holiday, no matter whether it’s here in Scotland or further abroad. Let’s start with a relatively local and inexpensive option. The Oban Seafood Hut (also known as The Green Shack) is not so hidden (if, that is, you find yourself in Oban), but it is tasty. 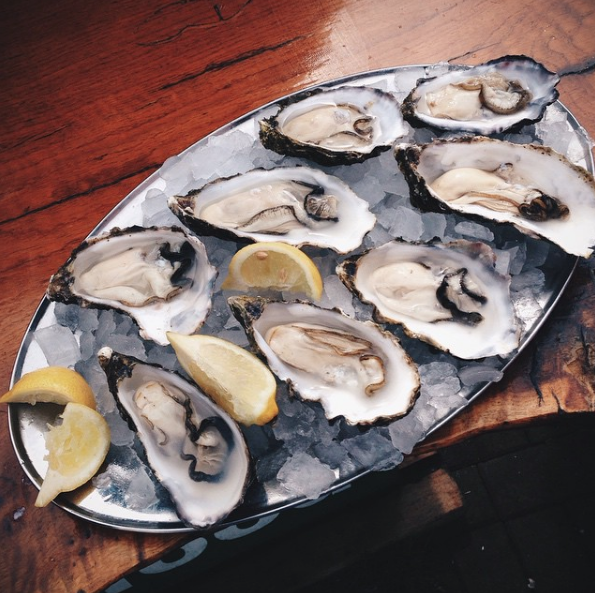 There’s no interior to be found here (the seating is all outside on the promenade, and you order at a sheltered counter), but with a menu including raw oysters, crab sandwiches, lobster, and all the other shellfish you can dream of, you can’t go wrong. Watch the ferries come in and out of the harbour as you nosh before starting your Hebridean vacation, and don’t forget to grab a sandwich for your own ferry ride! A bit farther away but sticking with the seafood theme, next on our list is Ted Peters Famous Smoked Fish. If you find yourself in Central Florida (and thanks to all the mainstream tourist attractions, who hasn’t visited at some point? 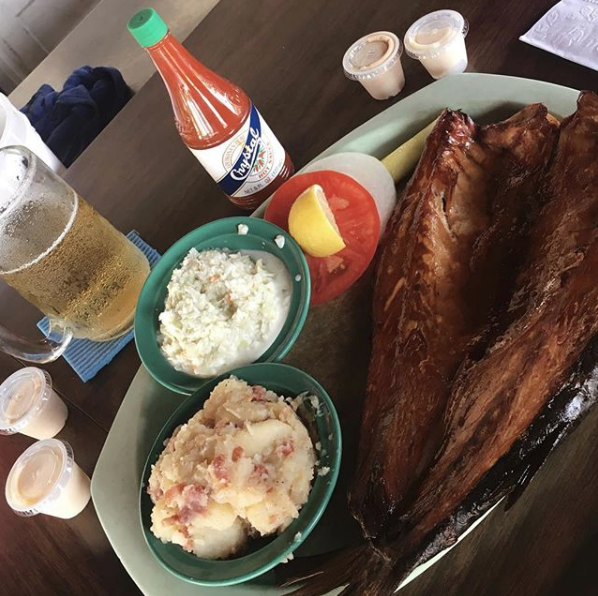 ), you’re probably never going to want to leave the beach, but this is food worth leaving the beach for. Head to Ted Peters for lunch when it’s too blistering hot to be outside anymore, order an ice-cold beer (or a root beer for the driver!) and while you look over the menu, start your meal with some smoked fish spread. Eat it on the Saltine crackers that it comes with, and don’t forget the hot sauce! So this is a bit of an odd one because although the location is very much off the beaten path, Miguel’s itself is such a well-known establishment (among an admittedly niche audience), that when you Google their name, it’s the only result. I know what you’re thinking. ‘Why would I plan a holiday in Slade, Kentucky?’ and let me answer that for you: Miguel’s. (Well, and the scenery). Hear me out: the Red River Gorge area of Kentucky has some of the world’s best rock climbing destinations, and even if you’re not into climbing, the hiking is also top-notch. And what do you need after a long day outdoors? Pizza. Miguel’s specialises in pizza and has done for 35 years, with visitors coming from all over the world to climb, eat, and even camp in the fields behind the restaurant. Order yourself an Ale-8 One, a Kentucky soft drink that’s sort of like heavily-caffeinated ginger beer with undertones of citrus sweetness and load up your pizza with as many of his signature 45 toppings as you can handle. You’ll be glad you did. Heading west again, we find ourselves in Tokyo, a city with no shortage of amazing things to eat and drink. So why choose Deathmatch in Hell? 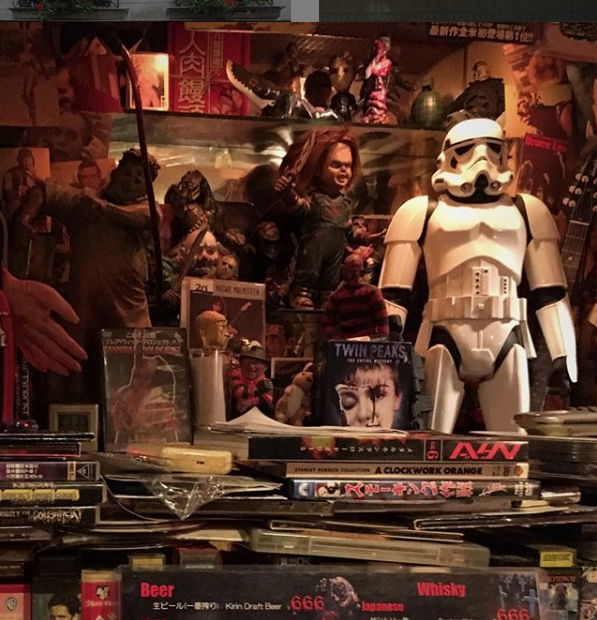 If the name alone isn’t enough to tempt you, how about this: it’s one of the few bars in the Golden-Gai area of Tokyo that doesn’t charge a cover, the interior is filled with 1980s horror movie paraphernalia, off-beat tunes on the jukebox and every drink costs 666 Yen- less than a fiver! First of all, good luck finding this place. I don’t know why it’s so tough, but no matter how many times I’ve been, whether walking or in a cab, it’s easy to miss- and the fact that it has two completely different names which seem equally popular doesn’t help. La Tour de Montlhéry is the perfect place to end the day on your winter visit to Paris: it’s cosy and warm, with long tables covered in red chequered cloths, original sketches on the walls and hearty, soul-warming food on the menu. None of your molecular gastronomy or dainty amuse-bouches here, this is a restaurant that was founded to feed the hungry butchers and workers of Les Halles after they finished work so you know you’ll be fed well. Wine is decanted from the barrels at the front of the restaurant, portions are large and delicious, and the service, if brisk, is also quick and helpful. You definitely won’t leave hungry! 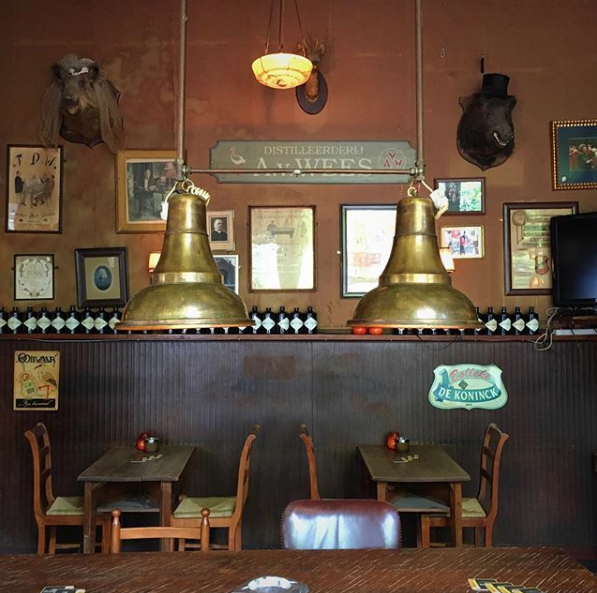 Legend has it this vintage-style bar closed its doors in the 1970s and sat unoccupied but furnished for decades until the current owners reopened, bringing in fresh beer and changing pretty much nothing else about the place. With its shabby exterior and unassuming location, walking into Café Brandon is like taking a step back in time to a different Amsterdam… one where smoking is still allowed indoors, jazz is still the music of choice and the only thing on offer is Dutch beer. If you’re lucky enough to arrive during the afternoon on a weekday, you might be the only ones in the place, giving you a chance to explore the furnishings, paintings & details in depth. Of all the cities in Italy, Venice is perhaps the least known for its food. It can be really tough to find a decent, non-tourist-trap sort of meal in Venice, not least because it’s tough to find pretty much anything in Venice. All of which makes Bacareto Da Lele even more of a treasure. Go here when you’ve been wandering in Venice all day and you’re cold or hot or tired or hangry. Go here with friends and order at least 3 mini sandwiches for €1 (or less!) each and as many tiny glasses of their house wine as you want (again, all for €1 each!). This is the perfect place to while away an hour in the sun on the shore of the canal just outside the door, or huddled around a wine barrel indoors away from the chill of winter. Summer or winter, how can you beat a full gourmet lunch for less than £5? Whether your next holiday takes you to Europe, America or Asia, make sure you get off the High Street and visit some local gems. And hopefully, that holiday comes sooner rather than later!